1. 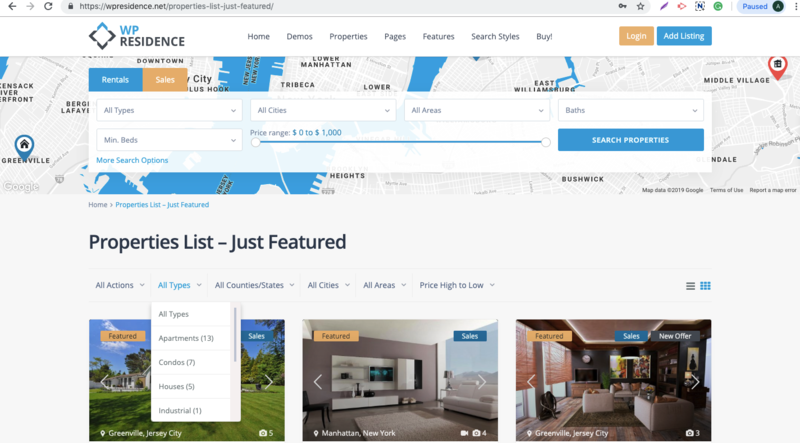 The filters on this page apply for ALL properties. 2. 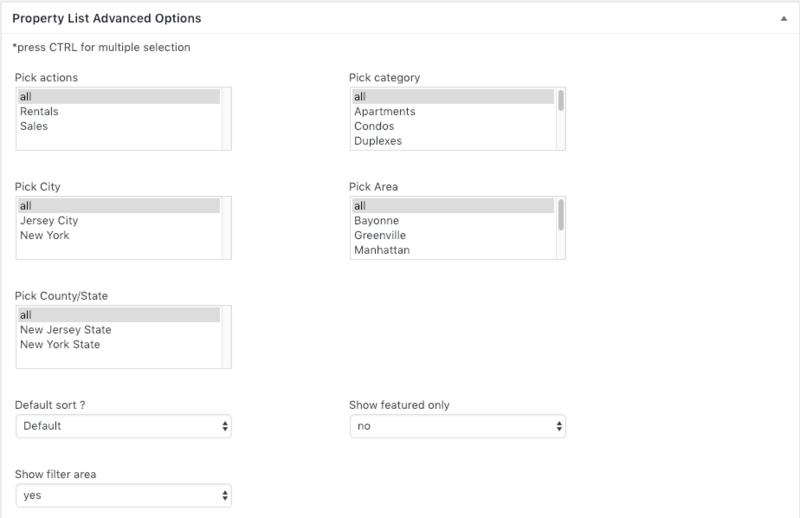 If you select multiple categories in Advanced Options, the map by default will sync only with the first category (the one that shows in filters by default). 3. MULTIPLE category selections of the same type work only for PARENT categories. 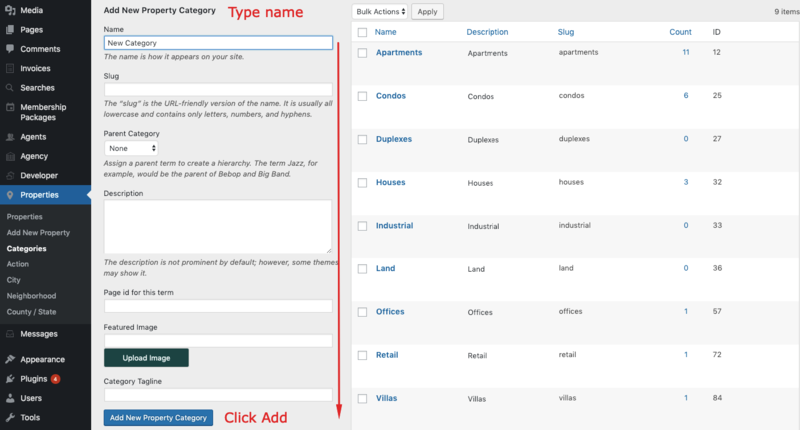 Make sure you select multiple categories that DON’T have child categories set. 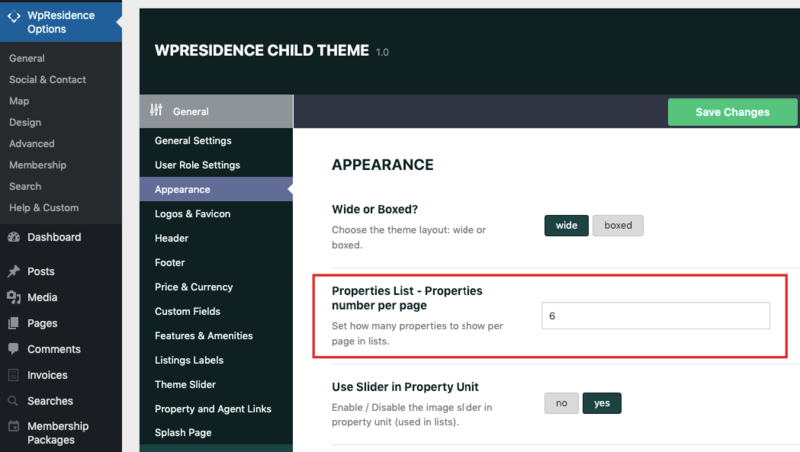 Select the number of properties listed on one page in Admin – Theme Options – Appearance. 2. 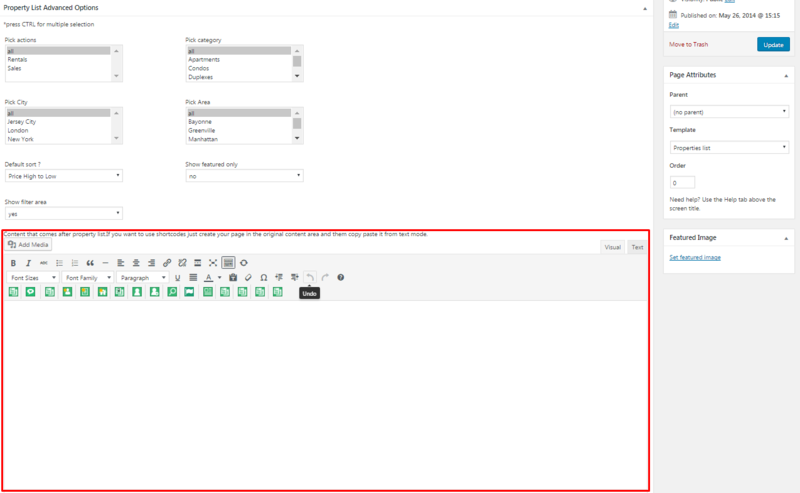 Add content after properties list, but please keep in mind Bakery Page builder doesn’t support their shortcodes in a 2nd editor (You can use default classic editor from WordPress, Ultimate Addons Shortcodes and Residence Shortcodes.